Additional Services - Infinity Plumbing Designs, Inc. Your local water district ensures that the water that comes out of your tap meets government standards for water safety. 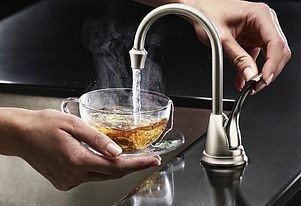 However, there’s a good chance that your tap water tastes terrible and contains minerals (i.e. is “hard water”) that leave spots on your faucets and can negatively affect your plumbing. To help you make the most of your tap water, Infinity Plumbing Designs, Inc. is proud to offer a quality line of products and services that can help you save time and money, and keep your family happy and healthy. Installation is provided by appointment, so please contact us today for pricing, scheduling and more information. Do you suffer from the harsh effects of hard water? Infinity Plumbing Designs offers several solutions that will protect your entire plumbing system, warranty, eliminate the water spots on fixtures, shower doors, glasses, silverware etc. In addition, it also filters dirt, rust, and sediment from the incoming water supply. There’s no need to continue dealing with such harsh build up when you can eliminate problem from the start and install your whole house water softener. All Falsken products are proudly made in the USA. Call us today at 951.737.4436 for your FREE Consultation! Water conditioners play a critical role in home water treatment. Although they don’t automatically resolve your hard water issues, they do reduce the chlorine and chloramine content in the water. If you want to improve the taste and/or eliminate the odor from your water, purchasing a water conditioner is a good choice for you. 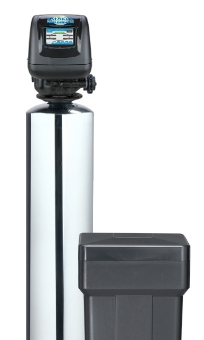 This water conditioner can be combined with a water softener for great water throughout the home. All Falsken products are proudly made in the USA. Call us today at 951.737.4436 for your FREE Consultation! The heater treater is a simple low cost solution for protecting all tankless water heaters from the effects of hard water scaling. This is the most popular and recommended line of scale prevention products available to consumers today. Although this unit is designed to protect the tankless water heater, it is not intended to be used for any other purpose. Please note that it’s not necessary if a water softener option is already installed. All Falsken products are proudly made in the USA. Call us today at 951.737.4436 for your FREE Consultation! It is recommended that adults drink 9 to 13 cups of beverages daily, with the majority of this being water. If you, like most Southern Californians, do not like the taste of your tap water, you may be spending thousands of dollars on water bottles that just end up in landfills. To make matters worse, those plastic bottles may contain BPA, a chemical which is known to cause serious diseases and disorders. Luckily, there is a better solution. 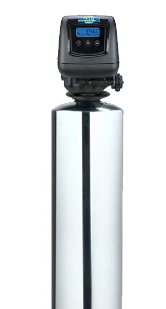 You can install a reverse osmosis water filtration system. You’ll reduce your carbon footprint, and be able to enjoy great-tasting water for just pennies each day. Infinity Plumbing Designs, Inc. can professionally install a high-quality, American-made reverse osmosis system that will match your kitchen’s decor and provide safe water for both your kitchen faucet and your refrigerator’s ice maker. Contact us today to learn more. Tired of wasting time and literally watching water (and money) go down the drain while you wait for your water to heat up? Now you can have hot water instantly, with the Instahot under-counter system. This compact unit comes complete with a stylish faucet in your choice of four different finishes. Save time on everything from making a cup of tea to preparing pasta with the Quick and Hot system. Do You Maintain Your Plumbing System?